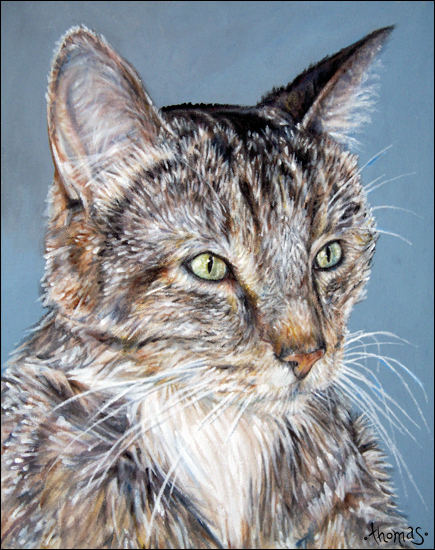 Tiger the cat painting is done in acrylic paint and the dimensions are 11 x 14 inches. The fur was tricky to do because of all the color. 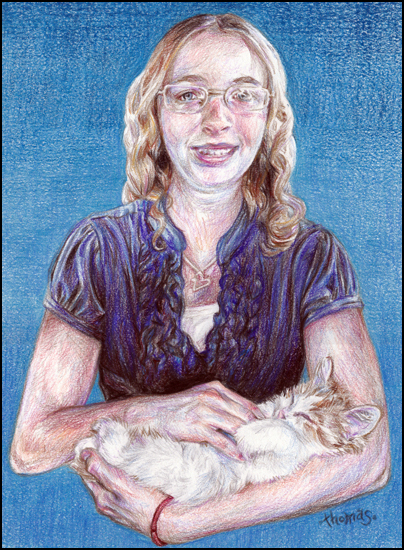 This is the newest portrait that I’m working on in colored pencil. 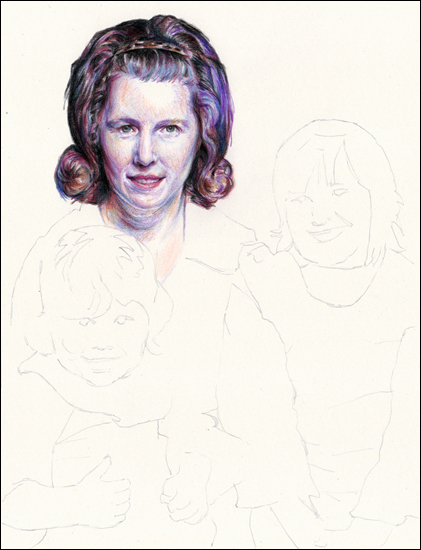 The portrait is being done off of an old family photo. The color had to be adjusted in photoshop before I started. This portrait required all of the reference photos that I was given. The head was taken from one, the body from the other and then the lower half with the cat. 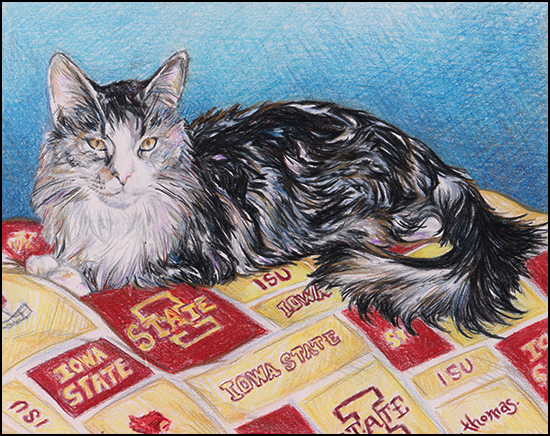 The portrait was done in colored pencil and the dimensions are 9 x 12 inches.